Mr. Asaf Hajiyev, PABSEC Secretary General, participated in the 20th Annual Meeting of the Board of Governors of the Black Sea Trade and Development Bank (BSTDB), which took place in Sochi (Russian Federation) on 1 July 2018, under the Chairmanship of Mr. Sergey Storchak, BSTDB Governor for Russia and Deputy Minister of Finance of the Russian Federation. The Meeting brought together economic policy makers, business leaders and representatives of international financial institutions to exchange views on best practices that may support increased investment and sustainable growth. 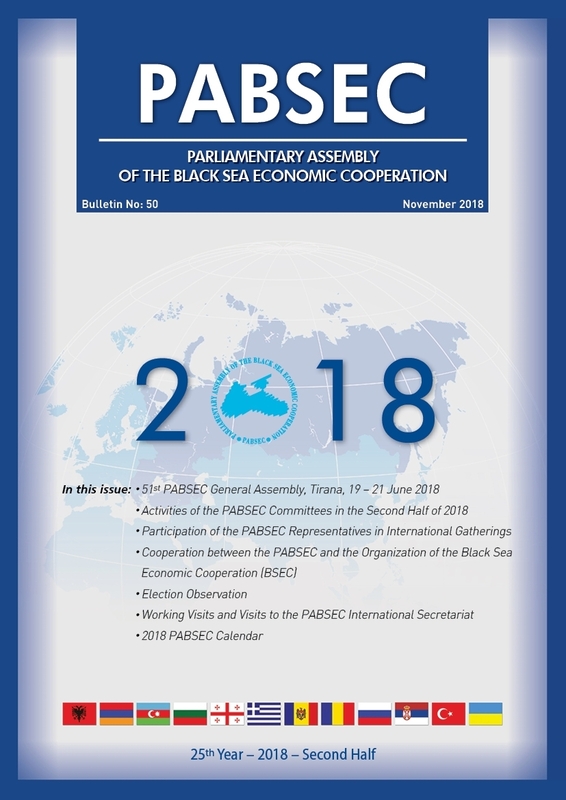 In his intervention, Mr. Hajiyev informed the participants about the results of the Fifty-First PABSEC General Assembly, held in Tirana, particularly about the ongoing activities with other parliamentary organizations (recently granted the status of the PABSEC Partner to the Legislative Assembly of the Rostov Region). Mr. Hajiyev also informed about the activities on the occasion of the PABSEC 25th Anniversary, among which he underlined the significance of the Business Forum “The Republic of Belarus – Member States of the Black Sea Economic Cooperation” which was jointly organised by the National Assembly of the Republic of Belarus, the Belorussian Chamber of Commerce and Industry and the PABSEC. 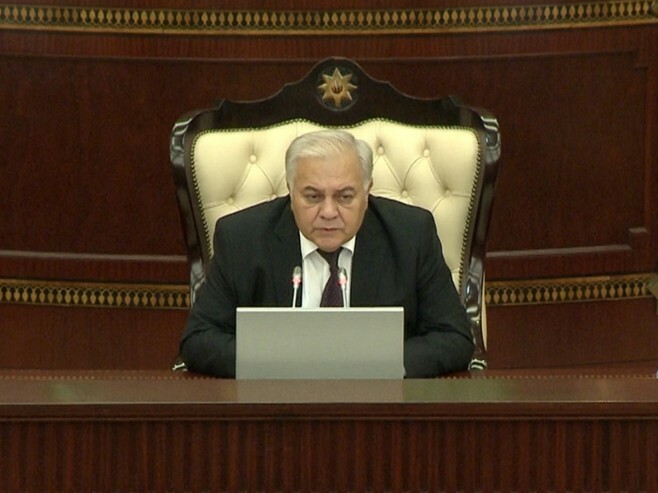 In his speech, the PABSEC Secretary General stressed the usefulness of bringing together parliamentarians and representatives of the business community which aims more effective cooperation in all spheres in the context of the rapid development of information and communication technologies that narrows time and enlarges the space for getting information. The Secretary General also noted the importance of the participation of Chinese colleagues in the work of this forum and informed that the next PABSEC business forum is planned to be held in Istanbul in 2019. Mr. Hajiyev noted that the PABSEC, since the very beginning, has provided full support to the BSTDB through its recommendations and a number of initiatives undertaken, both at the level of the PABSEC Economic Committee and the PABSEC General Assembly. The Board of Governors approved the Bank’s Annual Report and financial statements. The Board elected the Governor for the Republic of Turkey as Chairman of the Board of Governors. The Governors for Ukraine and for the Republic of Albania were elected as Deputy Chairs, for a period of one year. Turkey will host the next BSTDB Annual Meeting in July 2019. 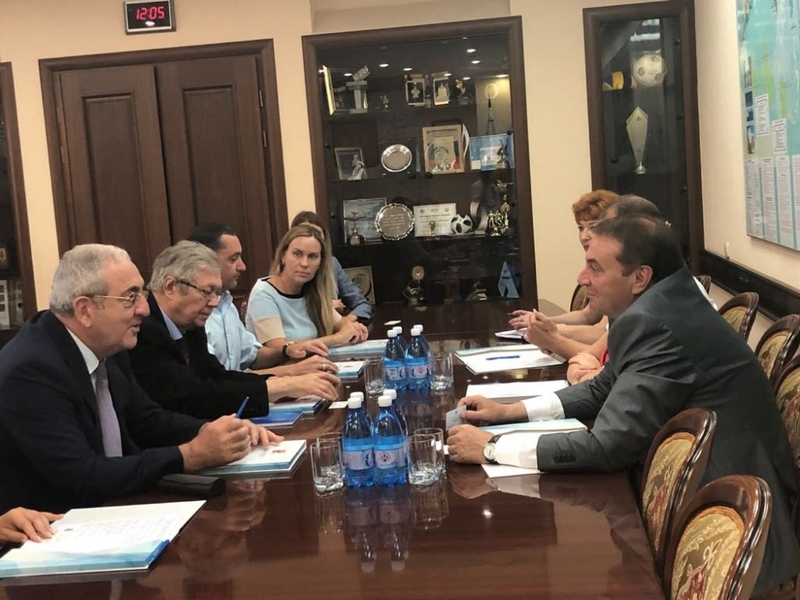 On 2 July 2018, Mr. Hajiyev paid a working visit to Mr. Anatoly Pakhomov, Mayor of Sochi. During the meeting, Mr. Pakhomov proposed to Mr. Hajiyev to organize a joint meeting of Mayors of the BSEC Member States, aimed to improve the cooperation in the field of tourism among them and to exchange the opinions and good practices on this subject. The meeting is planned to take place in Sochi, on 29-30 September 2018. In the framework of the Annual Meeting, the BSTDB organized a Business Forum entitled “BSTDB: Supporting Russia’s Growth and Regional Cooperation”, on 2 July 2018.